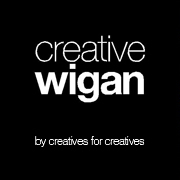 Creative Wigan is committed to ensuring the privacy and confidentiality of your personal information. We will only use personal information collected via our website for the purposes for which we have been given it. This includes responding to your enquiries or improving the website. Creative Wigan is committed to protecting the security of your personal information. We use technologies and processes such as access control procedures, network firewalls, encryption and physical security to protect the privacy of information. Although the transmission of information via the internet is not completely secure and we cannot guarantee the security of your personal information, we will take all reasonable steps to protect your information from loss, misuse or alteration. If you choose to make enquiries via our website, we will ensure that your contact details are stored on password protected databases. We may create links to third party websites. We are not responsible for the content or privacy practices employed by those responsible for any third-party websites we are linked to. Search queries and results are logged anonymously to help us improve our website and search functionality. No user-specific data is collected by either Creative Wigan or any third party. In the interests of training and continually improving our services calls to Creative Wigan may be monitored or recorded. Private calls are not recorded. ARRAffinity: Set by websites run on the Windows Azure cloud platform. It is used for load balancing to make sure the visitor page requests are routed to the same server in any browsing session. For any requests related to your personal information please feel free to contact us via our contact page.